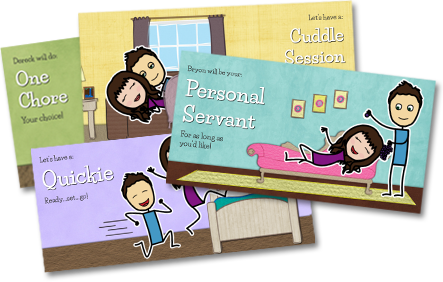 LoveCoups is a unique gift company that allows you to create personalized love coupons with your own characters. With LoveCoups, you can easily create fun and romantic love coupons that will bring you closer together as a couple. LoveCoups is the perfect Valentine's Day gift that can be enjoyed all year long! 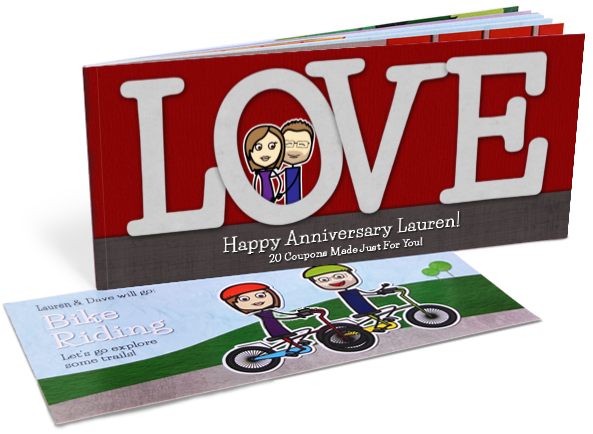 It is so easy to create your LoveCoups book! 1. Create and personalize your own characters. Choose a face, eyes, hair, and more for each character. The two characters you customize will now automatically appear throughout your book. 2. Choose and personalize your cover. Choose the perfect cover for any occasion and customize the text to make it your own! 3. Choose and personalize your love coupons. Choose from tons of fun coupon ideas featuring your characters. Edit the text to say exactly what you'd like. 4. Give your one-of-a-kind gift! They print & professionally bind your custom gift book and ship it wherever you'd like. All you have to do is take credit for this unique gift...oh and hold up your end of the bargain with the coupons! I had so much fun creating my own LoveCoups book for my husband for Valentine's Day! I hope he will love it! How? It's Easy! Just enter to win using the Rafflecopter form blow. Good luck! It would have to be my boyfriend or he might get a wee bit upset with me. My daughter would love this for her and her husband,thanks so much. Play here yahtzee online and enjoy unlimited fun,there are so many place of entertainment but this one is more better than all of them so please play it and provides your feedback also.